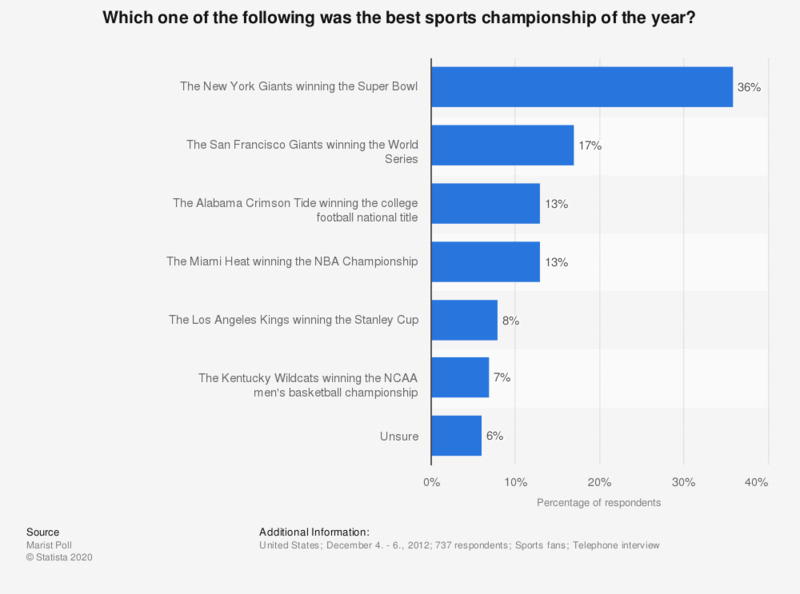 This survey depicts the opinions of U.S. sports fans on the best sports championship of 2012. 36% of respondents consider the triumph of the New York Giants in the Super Bowl the best championship of 2012. Which one of the following was the best single sports accomplishment of the year? Who was the most overhyped athlete of the year? Which one of the following players had the biggest impact on their sport this year? Which one of the following was the best Cinderella story of the year?